The proper storage of coffee beans will guarantee that they will retain their aroma and taste qualities for a long period of time. If you truly appreciate a good cup of hot coffee in the morning, you need to learn more about the proper way of storing coffee beans. Wondering how to store coffee beans without the purchase of expensive jars or other kitchen pieces? There are a couple of simple and effective things you can do. Roasted coffee beans tend to lose their scent and taste if exposed to environmental factors for too long. Air and humidity will soon change their quality. Follow some basic tips to keep your beans aromatic for a longer period of time. If possible, it would be best to purchase green coffee beans. These can be stored for long periods of time, without losing their qualities. Once you learn how to store coffee beans in your kitchen, you can also do DIY roasting of small quantities. When purchasing black beans, make sure that they were roasted recently. Selecting a vacuum pack is a better option if you are uncertain of the origin and age of beans offered for sale. To get the best taste, coffee beans should undergo grounding and brewing shortly after they have been purchased. Yet, in most cases, storage is necessary. Refrain from grinding coffee at the store. Ground coffee loses its qualities much faster than beans. Beans have a protective skin, which once broken, leaves coffee exposed to the harmful environmental influences. Various grinding machines are available for home-use. Most of these are quite inexpensive and user-friendly. Use air-tight containers to store your coffee beans, in case you decide to refrain from purchasing a vacuum pack. Your coffee should be stored away from sources of heat and light. For the purpose, purchase a glass canister. These have rubber seals that keep air outside and have been designed especially for the purpose. If you store coffee in its original pack, try to close it tightly after opening. Remove as much air as possible before closing the pack. Use a rubber band to seal it tightly and to prevent air and moisture from finding their way into the pack. 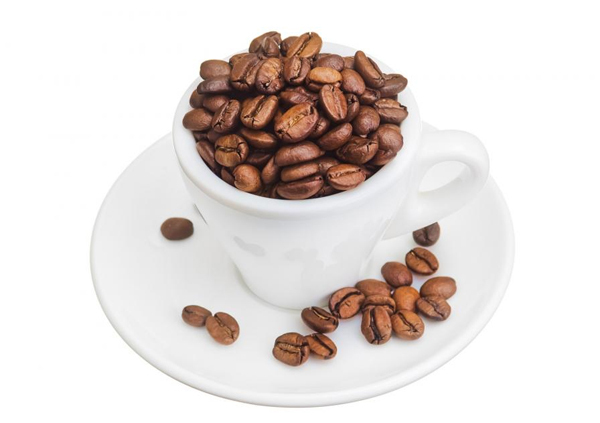 Purchase the quantity of coffee beans that you will need to prepare your refreshing beverage during the week. Beans remain aromatic for several days after their purchase. If preserved properly, coffee beans can maintain their quality for a period of nearly one month but a change in the taste will be easy to spot as time passes. Freezing coffee is an option to keep it fresh for a longer period of time. The procedure could be performed only once – when you remove coffee from the freezer it would be inappropriate to put it back in. A second time freezing will ruin the taste of your beans.